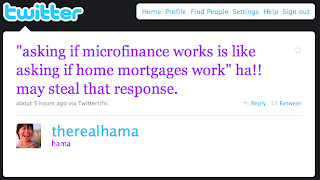 Stuff: Interesting, relevant;: Powerful answer to "Does Microfinance work?" Good Post! 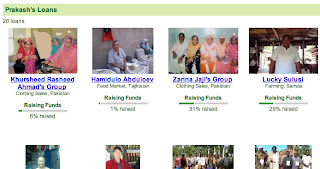 And yes you have enthused me about micro financing. Kiva looks good. Awesome Ravi! 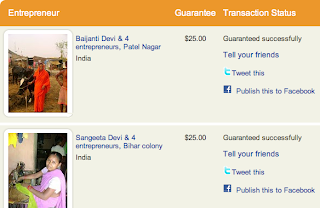 Act before that enthusiasm is forgotten in the rush of routine stuff, open an account on Kiva and make a difference for a few people! !